Once when I was fifteen years old, I climbed a waterfall. To be precise, I climbed the rock facing underneath the waterfall. 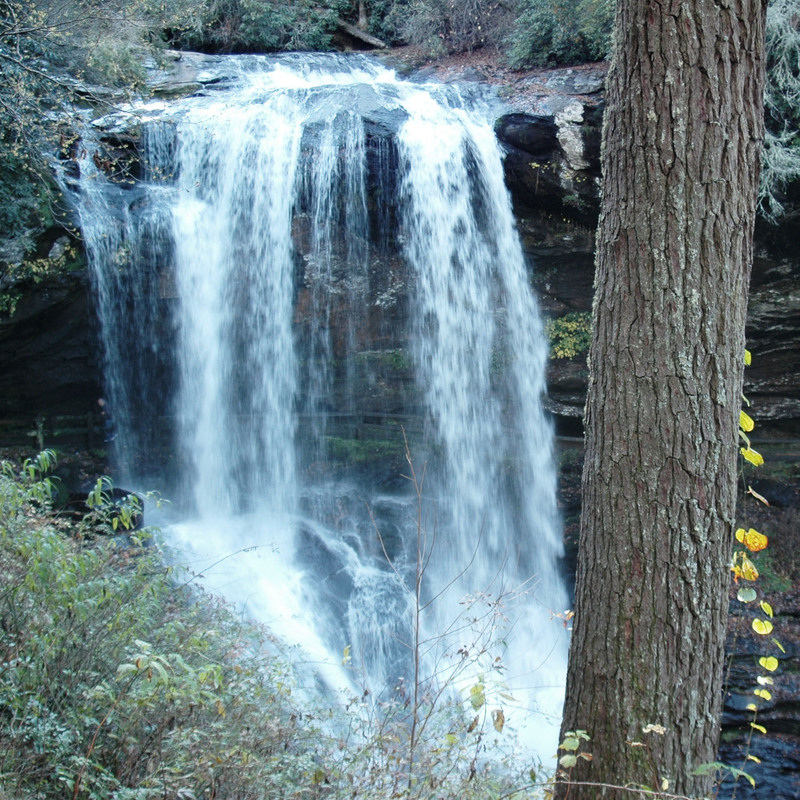 My family and I were in north Georgia at the time, and the trail leading to the falls had ended at a wooden deck-style overlook some distance back, but I was not to be restrained by man-made barriers. As a young man full of vigor and adventure, I knew I could get closer. I had no idea how close I would get…to dying. At the base of the falls well off the path, I began my steep ascent. The hard rock underbelly of the falls was covered in algae and ferns, and my fingernails dug up green with each new handhold. My hiking boots were not designed for this type of climbing, but they held fast to the slick and treacherous surface. Their cleats, too, ripped into the carpet of greenery. Each move was a calculated, deliberate decision. My pulse was racing, my stomach flooded with adrenaline. Still, I was too deep into the task to go back, and had I wanted to, I probably couldn’t have. I decided to see this venture through with discernment and strength. Even with caution, though, bad things happen. As I neared the top of the falls, the gush and roar of the waters above me became near-deafening. I knew I’d have to veer to one side of the overflow or the other. The problem I now faced was inexperience — as an untrained and unfamiliar climber, I knew how to go up, but beyond that one direction, my movement was limited. I’d have to go straight through the water to reach the top. I summoned my most courageous breath, and felt the current strike the crest of my scalp. I pushed upward, caught a face full of water, and fell backward. It was a surprisingly short fall — unlike those dreams where one seems to descend for eternity before waking with a jolt, this fall scraped my chin and chest on the rock outcropping, and in the midst of the peril, my fingers and boot-treads made one last grasp to the surface. I had enough purchase to shove my way up the right side of the falls, and eventually, I found myself standing at their apex, looking back down the long trail of white and the brutal path beneath it. Around me, mountain laurel were in bloom, and I could see our campsite in the distance. The victory at last was mine, and a hard lesson was learned. My chin was still bleeding. I covered it with my bare hand, and walked in the direction of camp. I thought of this experience recently as I was growing impatient with other life circumstances. As regular readers know, I have a book forthcoming this summer, and my career is in a state of flux as I attempt to transition from secondary to post-secondary teaching. The end of the school year is upon us, and I’m generally discontent with waiting. The waterfall climb of my youth was one made with persistence, care, decisiveness, and bravery. As I think back on it, I recognize traits that I now need as the next chapter of my biography is only a few pages away. And while I may experience a “slip” or two along the way, I understand that, like surmounting any great obstacle, judicious patience remains key.